GPSL is the premier balloon gathering for high altitude enthusiasts from around the world. Each year GPSL is located in or around the Midwest and draws hobbyists and professionals from dozens of states, and as far away as England. The Great Plains Super Launch returns to the Midwest in 2019. 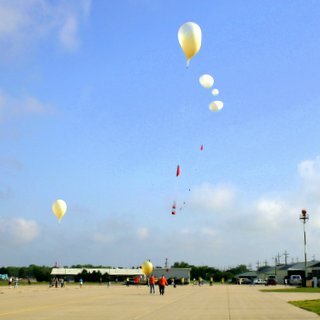 The Super Launch will be held on Friday/Saturday June 14 and 15, 2019 in Pella Iowa. For those that would like to arrive Wednesday evening, Pella Explores Near Space (PENS) will be hosting Thursday group tours of area places of interest. In addition, spouse/family activities will be available on Friday. Pella is a historic town, originally founded by Dutch settlers. We are located 40 miles southeast of Des Moines, IA. Iowa's largest lake with a beach, marina, and trails is only 10 miles away. Pella is a great family town and a popular tourist stop. Learn more at pella.org. For further information, please see the event Agenda for specific times. If you have questions or comments, please ask! Re: What do you use for tracking?